NAIC Natural Wellness Solutions provides innovative SomaVeda® Ayurveda and Natural Medicine based, holistic, natural, non-invasive wellness solutions and counseling for counter-aging, rejuvenation, counter-obesity, body treatments, detoxification, pain and stress relief, weight loss as well as mental and emotional and spiritual health. All yoga can be therapeutic, but not all yoga is yoga therapy. That’s where working privately with someone can make a difference. Each person has a unique body type and history, and each person brings his or her own issues, abilities, and limitations “to the mat.” Yoga therapy sessions involve an intake, musculoskeletal and breath assessment, and a conversation that all help SomaVeda® Therapist design an effective Ayurveda, yoga therapy and or Indigenous Medicine based practice that can best help in the client’s healing process. NWS’s creative vision for natural health and harmony is to teach and offer to the public new and innovative methods and therapies for better results and service. Natural Wellness Solutions program offers a simple, complete, multi-faceted approach to solving the questions posed by the toxicity and deficiency primary health related issues. The program includes the NWS Vitalology intake evaluation, assessments and consultation with a NWS Certified Technician. Manual Therapies performed by licentiate and or Certified technologist (Clerical Medical/ NAIC/ SMOKH/ St. John POC) and or Medically supervised, skilled practitioners and/ or student practitioners using both traditional Ayurvedic and Holistic/ Natural/ Energy based therapies and the latest equipment and technologies. (BIA, Electrophoriesis, Bio-Magnetic Therapy, MFTDP, Far Infrared etc.). Personalized diet, supplement and fitness components. Progress detailing and documentation as well as ongoing support and maintenance after completion of program. Please note: Private Services provided exclusively by and to NAIC private membership association members. 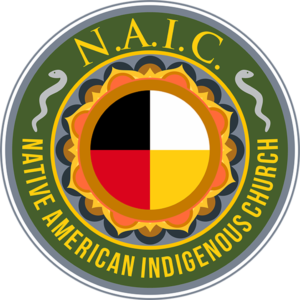 Active NAIC membership required for any and all consultations and or services, exchanges etc.